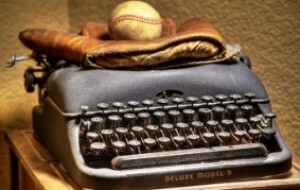 Home » Off Topic » How Old is Jack McKeon? How Old is Jack McKeon? You know Jack McKeon is old — for a MLB manager, anyway. He’s 80, turning 81 in November. But do you really grasp how old he is, and how long he’s been a manager? And of course, there was no such thing as the Mets or the Marlins back then, either. Actually, the Wizard of Oz movie came out in 1939 – I don’t think Jack is that old! Sorry, I meant no one had seen the Wizard of Oz on TV. It wasn’t shown on television until 1956. But glad someone is paying attention! 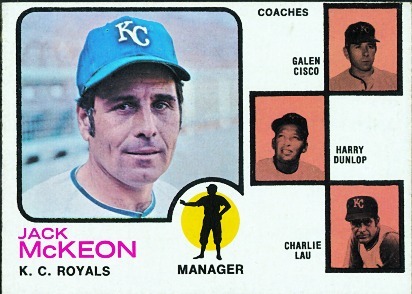 The first big league team he managed was the 1973 Royals. He was 42. They won 88 games, finishing 6 games behind the World Champion A’s. – now-retired manager Lou Piniella. – The father of current major leaguer John Mayberry. Plus Cookie Rojas, Freddie Patek, Amos Otis, Hal McCrae. Joe Hoerner, Jerry May, Bruce DalCanton, Paul Splittorf, Ed Kirkpatrick, Steve Mingori.